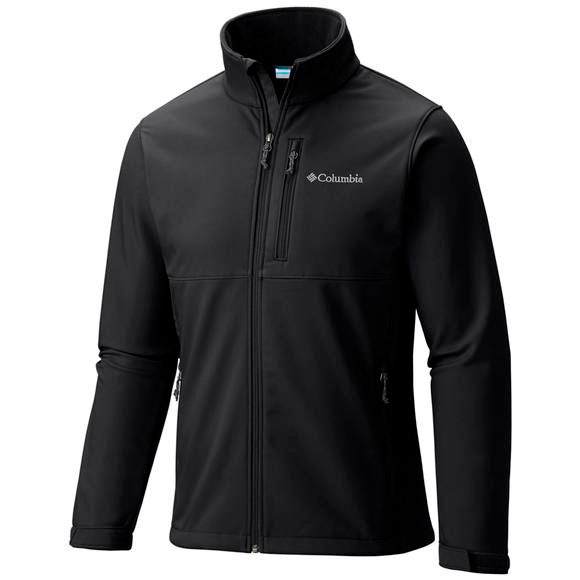 Rugged, warm, durable and yet decidedly presentable, this wind and water resistant softshell jacket is a versatile, all season piece from Columbia with an impeccable fit built to keep you protected in milder weather and layer under shells and jackets for bonus warmth in more severe conditions. Jacket is as described, was a great price and arrived quickly. This was my first order from Bob Wards. Would definitely shop here again. Returned as too tight across the chest. I have a 44 chest and knew I was at the top end of the fit range but did not expect the jacket to be as tight as it is. Would not be able to wear a heavy base layer or shirt under this jacket without strain on the zipper. Otherwise it appears to be high quality. Columbia seems to have selected a cheaper line of zippers for much of its gear, which I think is a mistake. I have had these fine tooth zippers on other outdoor gear and if you get ice or dried mud in them and zip or unzip the zipper teeth will break or deform and not operate correctly. The zippers in the 1980s and 90s Columbia gear was self clearing and much more robust.